Juvenile idiopathic arthritis (JIA) is the most common cause of chronic arthritis in children, with frequent involvement of the metacarpophalangeal joints (MCPJ). To compare US findings with those of radiography and clinical examination. 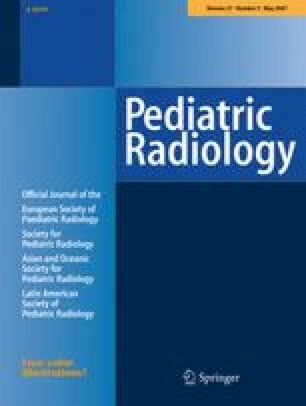 All MCPJs in 20 children with JIA (17 females, median age 9.7 years, range 3.6 to 16.8 years) were evaluated clinically and imaged with gray-scale and color Doppler US, and 90 MCPJs were also imaged radiographically. Each MCPJ was graded on physical examination from 0 (normal) to 4 (severe) by the patient’s rheumatologist. US demonstrated abnormalities in 64 of 200 MCPJs (32.0%), including pannus vascularity and/or tenosynovitis in 55 joints (27.5%) (pannus vascularity in 43, tenosynovitis in 40) and bone destruction in 25 joints (12.5%). Overall, US abnormalities and physical examination scores were significantly associated (P < 0.001). However, interobserver agreement between US and clinical evaluation was poor (kappa 0.1) and between US and radiography was only fair (kappa 0.4). 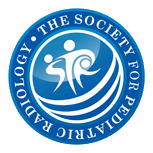 US of the MCPJ in children with JIA can demonstrate cartilage thinning, bone erosions, and pannus vascularity. Abnormal US findings are significantly correlated with severity of disease as evaluated clinically. The authors gratefully acknowledge S. Gregory Jennings for his editorial assistance and Rhonda Gerding for her secretarial assistance.